For this final make cycle, we’ll start by thinking about remixing with a text in common: Battle Bunny! We’ll look at how Barnett and Scieszka remixed Birthday Bunny to create Battle Bunny and then try out our own versions. A cool idea you can do with students is to gather old children’s books (Little Golden Books are great for this) and have them remix and rewrite the stories. You can also print out the pdf of The Birthday Bunny and have students create their own versions. On their website, they even have a place for sharing your students’ creations. This activity can also help you talk about the difference between revision (changing the text significantly by rewriting, extending, reorganizing, cutting) versus editing (polishing and checking for typos). You can also talk about choices that the authors make in the two versions, elements of stories, remix culture, etc. After playing with our remixes of Battle Bunny, we’ll finish up Reading in the Wild and consider your reading preferences. And finally, you’ll write a reflection focused on what you’ve learned about the teaching of reading and yourself as a reader, ending with a manifesto: what you believe about the teaching of reading. Who is the main character of Battle Bunny—Bunny, or Alex? Use the story to support your answer. 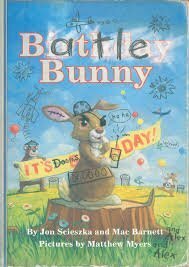 Who is/are the real authors of Battle Bunny—Alex, or Jon Scieszka and Mac Barnett? How was the story of Birthday Bunny structured before Alex made his changes (in particular, what was the climax)? What is the structure and climax after Alex makes changes? Did Alex change the structure, or did he just change the outcome? What are some words that describe the story setting before and after Alex made his changes? What are some words that describe the Bunny character in Birthday Bunny? What about in Battle Bunny? What are some words that describe Alex? (Possibilities: smart, funny, creative, expressive, bored, entertaining . . . ) How do you know? Answer using examples from the story. Do any of these words describe you? Why do you think there are so many books for kids that are way too sappy? What are the grown-ups who create sappy books trying to do? What are some other stories Alex could have transformed Birthday Bunny into, besides Battle Bunny? What are some other books you wish you could transform the way Alex did? What would you turn them into? 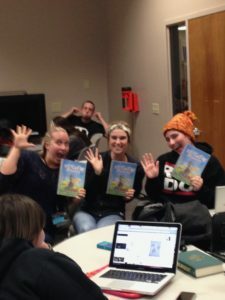 Help students find other works by the authors and illustrator of Battle Bunny. What do you notice that’s similar about their titles? What’s different? Here is the link to the pdf of The Birthday Bunny. Print 1-2 pages of the book (the cover or perhaps a page or two inside the story) and get out your markers and revise. It will take some printer ink, so I would only do the cover and/or a couple of pages of the text. Once you’ve remixed/revised, then take a picture of your creation and upload to your post/response to one of the questions above. Use Storyjumper to upload your own revision of Birthday Bunny. Create your own drawing or a different narration. Chapter 5 focuses on reading preferences and how to think about both supporting and challenging reader preferences. Per usual, talk about what resonates with you in this chapter: what might you consider for your future classroom? Then, what have you learned about yourself as a reader? What are your reading preferences and how will you continue to grow as a reader and a teacher of reading? 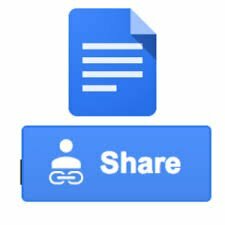 *NOTE: This assignment will be shared in a Google Doc with me and not posted in G+. You’ll start this assignment by reflecting on your work in the class. 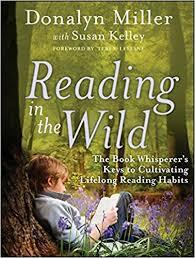 Read through your G+ posts, think about our Reading in the Wild conversations, your makes–what have you learned about teaching reading, about your own reading habits, about students’ reading practices? What is challenging about teaching reading, what is surprising, what do you look forward to? Click Share in upper right and share with: kjaxon@mail.csuchico.edu. Set it so I can comment or edit, not just view. I’ll get an email saying it is shared with me.